The Ranchi ODI gave India’s plans for the World Cup a reality check and with two ODIs left to address the chinks in the armour, India would go to Mohali with the hope of getting things right. While MS Dhoni has been rested for the last two games, Rishabh Pant will finally get his chance. Shikhar Dhawan: If there is one thing that can describe Shikhar Dhawan’s recent plight, it is the lack of trust in his own game. Playing away-going deliveries into him, and the propensity to offer a shot for all balls has resulted in Dhawan’s fall from a world-class limited-overs opener to a terrible performer. Does he have it in him to make a comeback? Of course, he does, but for that to happen, he needs to exercise some patience. Rohit Sharma: It was the thing that India feared the most and the way it is continuing, how the team would come out of it makes for an interesting situation. An ODI formula that was based on the guaranteed success of the top three has faltered significantly, and India will just wish that Rohit comes back to form in Mohali. Virat Kohli: No. 40 and 41 came in consecutive matches, with breath-taking audacity and equally proficient manner. He would have loved it if the century came in a winning cause, but his form is the only thing that India can trust at the moment. If the top-order misfires, he can’t afford to get out in the over no. 30-40 just to give reliance to MS Dhoni and Kedar Jadhav. Rest assured, he is going to fire. Ambati Rayudu: He has to be the biggest disappointment in the last few months. Despite having the backing of the team management and playing out few gamely innings, Rayudu has largely been seen as an under-confident performer, being given the charge of one of the toughest jobs in the game. He will try to break the drought of bad scores to gain some confidence. Rishabh Pant: With MS Dhoni rested for the next two games, Pant has given the role to bat at No.5 position while keeping the wickets as well. The Mohali track wouldn’t see much turn as has been the case in the past, which will be a solace for the Delhi boy who has failed to impress while keeping to spinners. His batting will play a huge role in the World Cup selection. 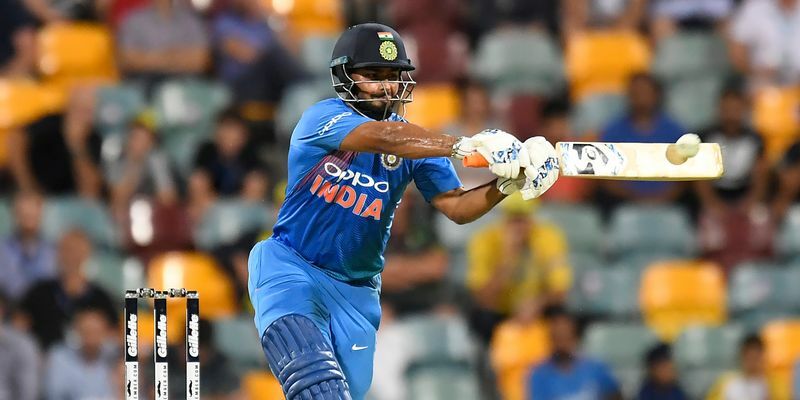 Kedar Jadhav: After Aaron Finch and Usman Khawaja hit him for 32 runs in two overs, Kohli instantly took him away from the attack and after that, his batting was supposed to be the calling card. However, the Maharashtra cricketer couldn’t stand tall to the expectations in the last ODI, leaving India a lot of runs to score after his dismissal. Mohali will give him a crack at the redemption. Vijay Shankar: After Jadhav was put off by the Finch-Khawaja combo, Shankar had a big role to play in the absence of a proper fifth bowler, and he shouldered that responsibility well. He was the second highest run-scorer for India in the last game, but couldn't stay back in the crease when India needed him the most. Bhuvneshwar Kumar: Bhuvneshwar Kumar attended the press conference ahead of the Ranchi ODI and it looked like he was going to get his chance, but India decided to go with Mohammed Shami at the last moment. However, after the minor injury to Shami yesterday, India wouldn’t want to risk him at all and Kumar will be the main bowler to assist Bumrah. Jasprit Bumrah: The pacer had been very effective against the Aussies and even on the tracks that assisted the spinners, Bumrah has been a cut above the rest. The Gujarat pacer has also been a very good guide to Vijay Shankar and Kohli during the decision-making in the death-overs and on the pacer-friendly wickets of Mohali, he will be a huge help to the bowling unit. Kuldeep Yadav: Despite the absence of his partner, Kuldeep has done his best to strike some blows in the death and that resulted in India edging out Australia more often than not. His middle-overs bowling left something to be desired, but that doesn’t mean India are yet to hit the panic bottom. His unpredictability is something that the Aussies would be wary of. Yuzvendra Chahal: There is no certainty to Ravindra Jadeja's role in the side with the all-rounder yet to provide the batting assurance that India wanted from him. That was the only reason he was ahead of Yuzvendra Chahal in the first place, but considering the fact that he is no more the option that he was a few years back, India may bring back the wrist spinner to give Kuldeep more insurance.